◦ Join Elsa, Anna, Kristoff and Olaf in the quest to unfreeze Arendelle. ◦ Help Elsa embrace her true self, make Olaf’s summer dreams come true, and guide Kristoff and Anna’s escape from Marshmallow. ◦ Earn snowflakes to unlock enchanted snow globes and more! ◦ The game included music and problem-solving skills, and emphasizes language art skills like spelling and vocabulary. 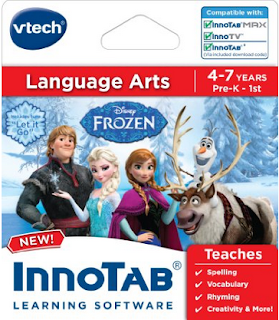 ◦ Compatible with InnoTab® MAX, InnoTV™ and InnoTab® tablets via the included download code. In InnoTab Disney Frozen by VTech join Elsa, Anna, Kristoff and Olaf in their quest to unfreeze Arendelle. Hear the character voices of Elsa, Anna, Kristoff and Olaf as you help Elsa embrace her true self, make Olaf's summer dreams come true, guide Kristoff and Anna’s escape from Marshmallow, earn snowflakes to unlock enchanted snow globes and more! In addition to music and problem-solving skills, this learning game also emphasizes language arts skills like spelling and vocabulary. Your child will love playing the games in easy or difficult mode based on their age and ability level. Then they can read the interactive e-Book to find out what happens when Anna and Elsa organize a party. Compatible with InnoTab MAX, InnoTV and InnoTab tablets via the included download code. Intended for ages 4 to 7 years. 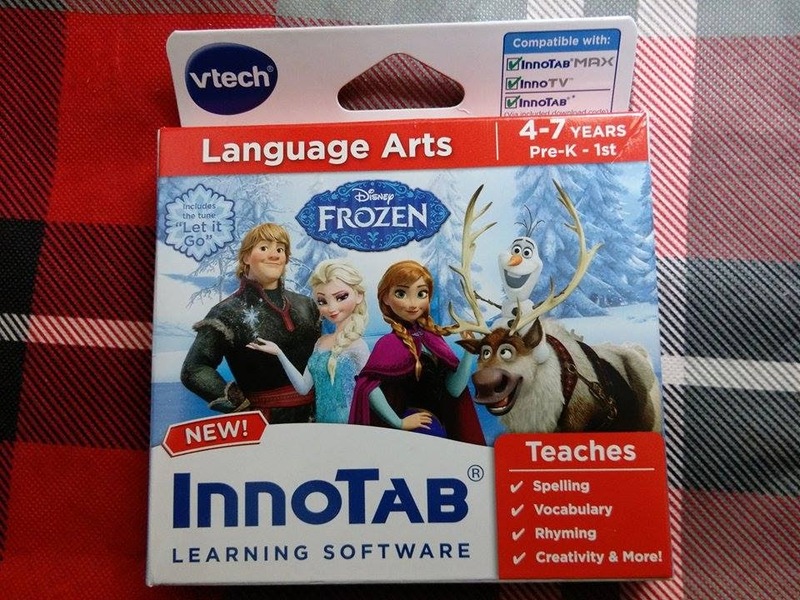 Having a pre-K and a 1st grader in the house, I was excited to get this InnoTab Learning Software for Language Arts with the Disney Frozen theme from Vtech. 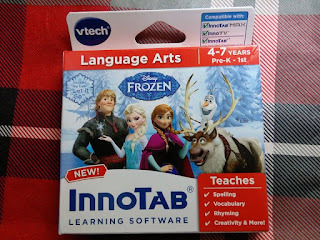 They love their new InnoTab Max and they love the Disney Frozen movie and characters so they eagerly wanted to master this learning game. I like that it teaches them spelling, vocabulary, rhyming and lets them be creative while they play and learn at the same time. I like that there are 2 levels so they can each work on the level they are at in school. I like that the book is interactive and gets them involved while reading. I can see how much they both enjoy it and they don't realize they are learning, they think they are just playing games. I really like that there is a code to download so I don't have to worry about game cartridges getting lost and the learning software stays right on the Innotab Max. I think this makes a wonderful gift for fun and learning. I recommend it!